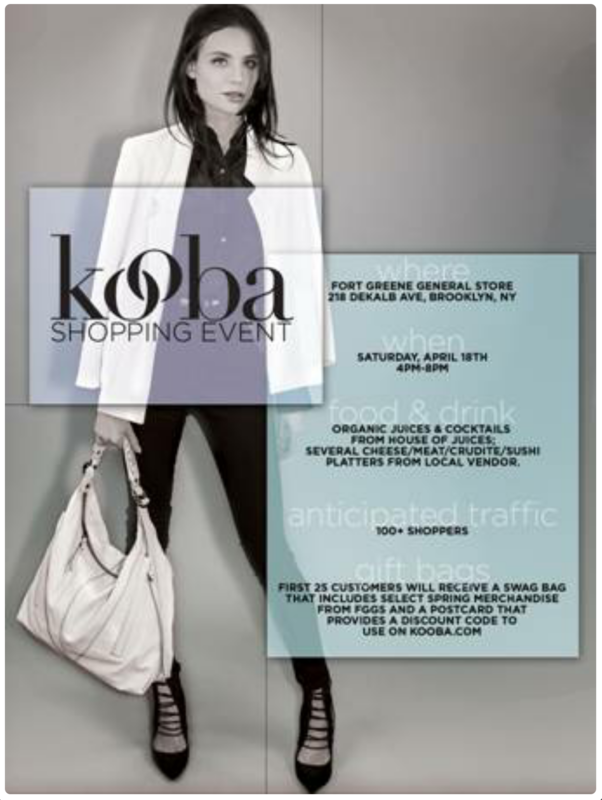 Kooba’s shopping event will take place in Fort Greene Brooklyn. There will be food and drinks. The 1st 25 customers will receive a swag badge with all sorts of goodies inside. When you RSVP that enters you into a drawing for a VIP bag at the end of the nite. 7p. The bag will include leather goods as well as jewelry. Not bad huh?! Tags: Brooklyn, drinks, Fashion, Free NYC, kooba, shopping. Bookmark the permalink.